I think it is fair to say that most individuals will immediately mention loss of memory (specifically Alzheimer’s Disease) as the major component of neurological decline. But there is much more to neurological decline than just grandma forgetting the names of all of her children and forgetting to take pills. Neurological decline is actually a very complex phenomenon and can include such problems as loss of executive functioning (decision making, planning), the inability to communicate through words, losing the ability to track events in time, decrease in mental flexibility and creativity, and general inability to quickly understanding something being said. 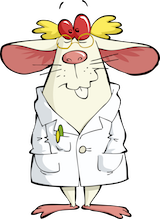 Some of the diagnoses associated with neurological decline are Alzheimer’s disease, Parkinson’s disease, Dementia with Lewy Bodies, Frontotemporal Lobar Degeneration (Frontotemporal Dementia, Progressive Supranuclear Palsy, Multiple Systems Atrophy. Corticobasal Degeneration and others) as well as accidents and resultant brain trauma from such sources as automobile accidents, football, and failing to wear head protection while on bicycles. Individuals with neurological impairment have much more complex arrays of problems in brain functioning than is captured by saying that memory is failing. 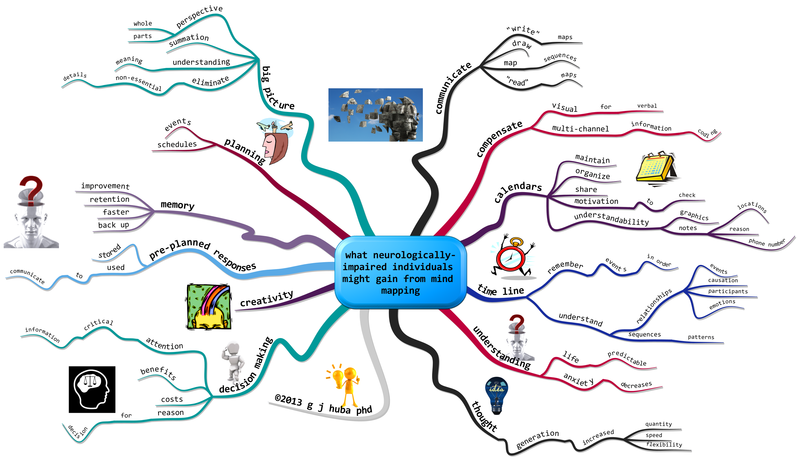 Since the technique of mind mapping has been associated with learning and memory and creativity, it has been suggested by many as a way for neurologically impaired and those with normal aging to “retain and increase memory.” However the loss of neurological functioning is very general as discussed above, and it is quite likely that methods of mind mapping will prove effective when applied to many different issues encountered by the neurologically impaired. 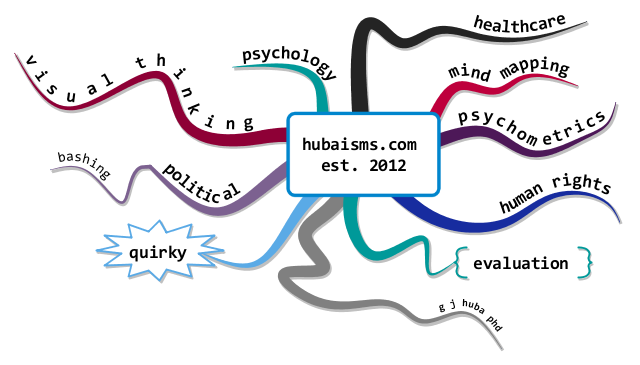 This mind map shows some types of loss of mental-cognitive functioning that might be helped by using mind mapping techniques both before and throughout the increasing stages of neurological impairment. Mind maps can be used for much more than just enhancing memory for the memory-challenged. The techniques are also useful for improving communication, decision making, cognitive flexibility, multichannel information processing, calendaring and maintaining daily schedules and self-care, generating new thoughts, understanding the “big picture” (context and subtext), and many other problem issues. I am going to write MUCH more on this topic in the coming weeks. 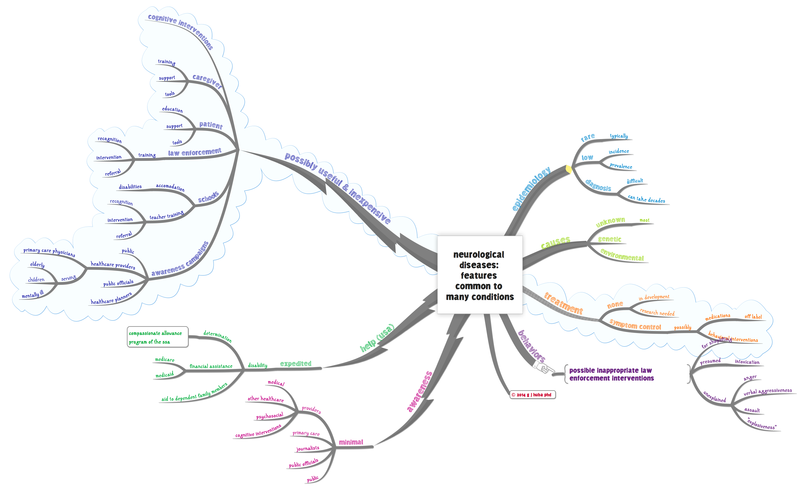 Next up will be a mind map showing the relationship of types of neurodegenerative conditions.